IHOP / Forerunner Music has released “onething live: You Satisfy My Soul” through Forerunner Music and all songs are now loaded into WorshipTeam.com. 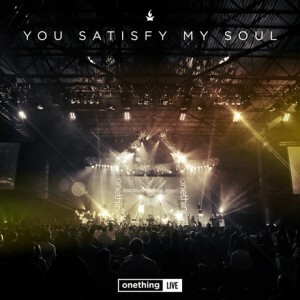 “onething live: You Satisfy My Soul” is a live recording of some great new songs and leaders. For 25,000 young adults across the globe, downtown Kansas City has become an annual destination for encountering Jesus. Each December, the International House of Prayer of Kansas City hosts Onething, an intimate and energetic time of worship, prayer, teaching, and ministry in the power of the Holy Spirit. Featuring nine worship leaders, Onething Live: You Satisfy My Soul captures this atmosphere of devotion to Jesus and highlights some of the most memorable moments of worship from Onething 2012. All songs are loaded and ready to use- just access your WorshipTeam.com system database. 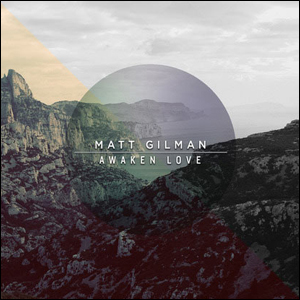 IHOP Kansas City’s worship leader Matt Gilman has released “Awaken Love” through Forerunner Music and all songs are now loaded into WorshipTeam.com. “Awaken Love” captures some excellent new songs from Matt and other co-writers. This album is a brilliant pallet of ballads and choruses with a few songs of introspection as well. Ed Cash, a major producer for everyone from Chris Tomlin, Kari Jobe, to Vince Gill, to Starfield to Dolly Parton, has been a brilliant sound-master in dozens of projects. His gift is bringing the artist forward into a crisp, unfettered sound that highlights the skills of the artist and lifts the songwriting beyond its past marks. Cash does no less with this recording of Matt Gilman, making it easily the best musical production put out by Forerunner music. That said, all that production hasn’t drained the life out of the project- there is still a vibrant, prophetic edge to Gilman’s songs and his voice. And that is the strength of this album- Gilman’s vocal tone and prowess grace us with a hint of great passion projected in a genuinely enjoyable sound. His lyrics are unashamed and yet not superfluous. All in all, a very good project with some songs that are definitely “church ready” candidates for your song investigation. If you are looking for possibilities to consider for your local church, you can review these songs (audio/charts/lyrics) in WorshipTeam.com directly. All songs are loaded and ready to use- just access your WorshipTeam.com system database. 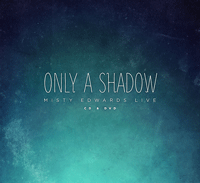 IHOP Kansas City’s worship leader Misty Edwards released her new album “Only A Shadow” through Forerunner Music and has all songs loaded into WorshipTeam.com. “Only a Shadow” captures Misty Edwards and team in a raw, fervently energetic, live prophetic worship concert. Recorded amongst a sea of Onething conference goers, the album features primarily new songs with a handful of familiar tracks from Misty’s past decade of worship releases. The album is framed between themes of the love of God and the resulting pledges of unwavering devotion fueled by this love, sustaining endurance and imparting vision for eternity amidst earthly trials. As is typical of Misty’s signature style, both soaring and subdued vocals bear the same provoking, soul-stirring potency. Her penchant for cutting through embellishment to reveal the heart of a matter shines through in each track, resonating beautifully in this vast atmosphere of worship. “Only a Shadow” invites the listener to encounter the eternal Source of light from whom the foreshadowings of this age are cast. All songs are loaded and ready to use- just access your WorshipTeam.com system database.